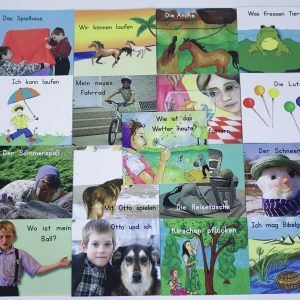 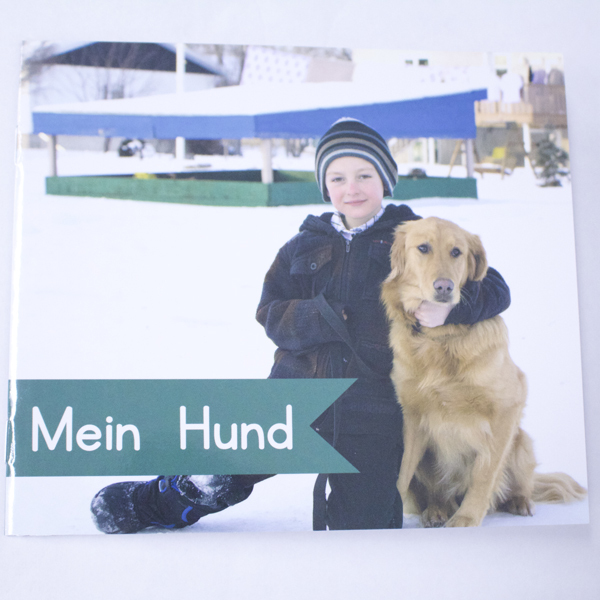 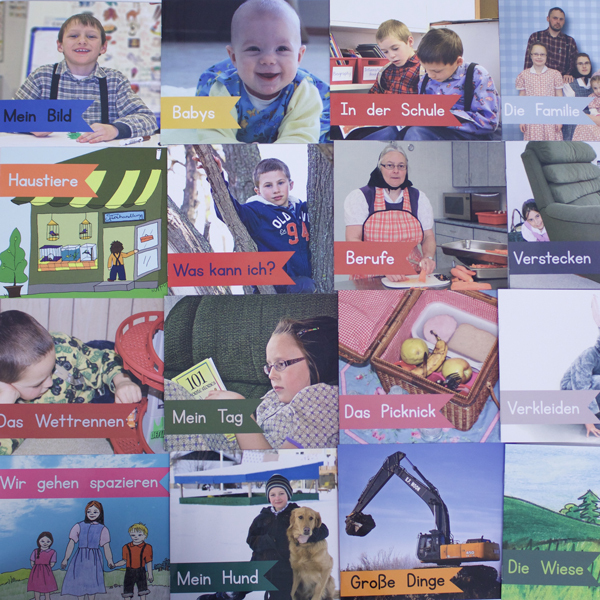 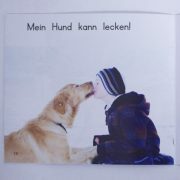 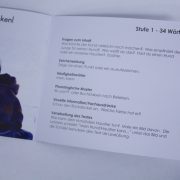 Auf den Weg is a German guided reading program developed for Hutterian children who are learning German. 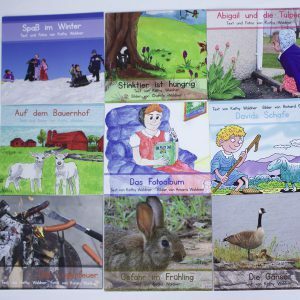 Although the books were written with Hutterian children in mind, the themes in the books are universal and are based on early childhood experiences such as school, family, jobs, pets and dress up that appeal to children of all cultures. 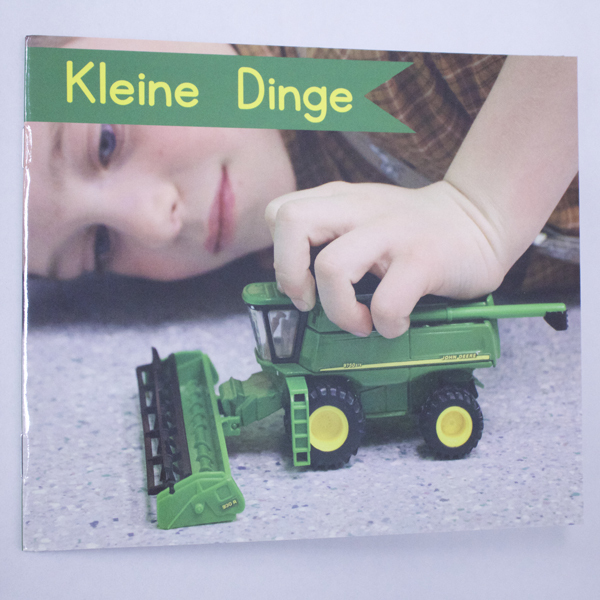 High frequency words are introduced at a slow rate and subsequent books build on earlier books as they gradually increase in complexity. 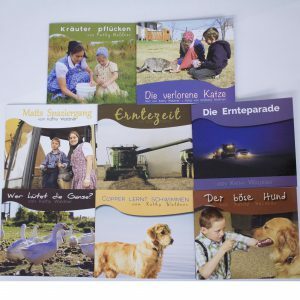 This series was inspired and written by an elementary school German/English teacher who has been teaching reading in German and English for over ten years. 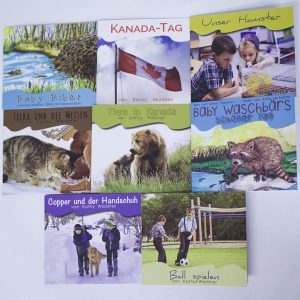 Each book was designed under the guidance of an experienced Reading Recovery teacher and is based on work done by Fountas and Pinnell, Jill Eggleton and the authors of the PM books.